Most of our clients never acknowledged the role of phone answering when their business was booming. And they overlooked it when they were analyzing the reason of our business failure. We at A1 Call Center have observed that Phone Answering seems to be one of the last priorities for most businesses. Most of the small businesses, especially start-ups, don’t employ a dedicated person to respond to customer’s calls. Therefore you find that the company owner or other staff are actually receiving all the calls and as a result not able to do other important managerial, or strategic functions. Hiring a full-time receptionist is costly! You will have to shell at least a couple of thousand dollars per month. And then also account for their sick leaves. On the other hand, you can easily get a virtual receptionist which charges you only a few dollars per call. And you can get a dedicated virtual receptionist for less than a thousand. A virtual receptionist will work when your staff is sleeping or holidaying too. 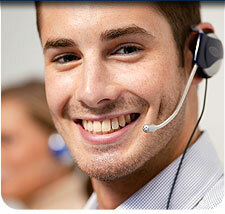 The professional phone answering services are available round the clock. They can answer calls on your behalf on all days of the week, so that you can relax and enjoy the weekend party. One call mishandled is equal to five customer turned away forever. As the unsatisfied customer will definitely share the experience with others which will lead to adverse word of mouth publicity. So don’t ignore the importance of quality answering service in your business growth. It is indeed indispensable for your business growth! Posted in Customer Care Support Services and tagged customer care support, Phone Answering Services.